I had a nicer, more detailed photo that showed off the texture of this spray. However, my memory card corrupted and I can't get to it. 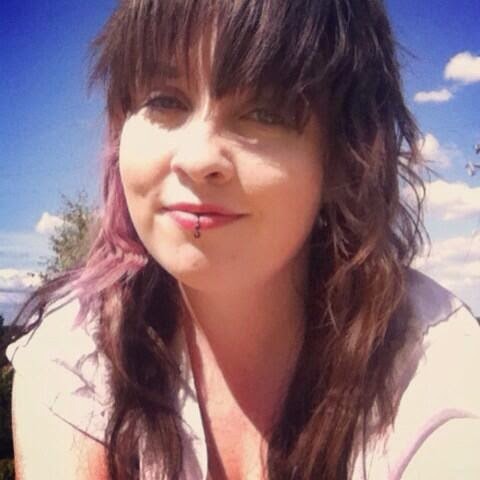 So this selfie from Instagram may do. This sea spray claims to ''Create texture and body with light hold. Suitable for creating a lived in, beach look'' It states to use it from root to tip on towel dried hair. However, I think it works best on wet hair and when it's completely dry, for extra hold, instead of hairspray, for more natural movement. I really liked this spray alot! It wasn't too sticky, it gave fantastic texture with light hold. It didn't make my hair feel lank or greasy either! However, I wouldn't use this spray alot, as the amount of salt in it will definitely dry it out! It smells gorgeous, like the sea, which I really love. It didn't weigh my hair down and it's a more preferable alternative to a heavier feeling curl mousse or cream. I think the Toni and Guy sea salt spray may work best with those who already have wavy/curly hair that is thick as it'll be less likely to weigh down the hair and making it feel greasy. 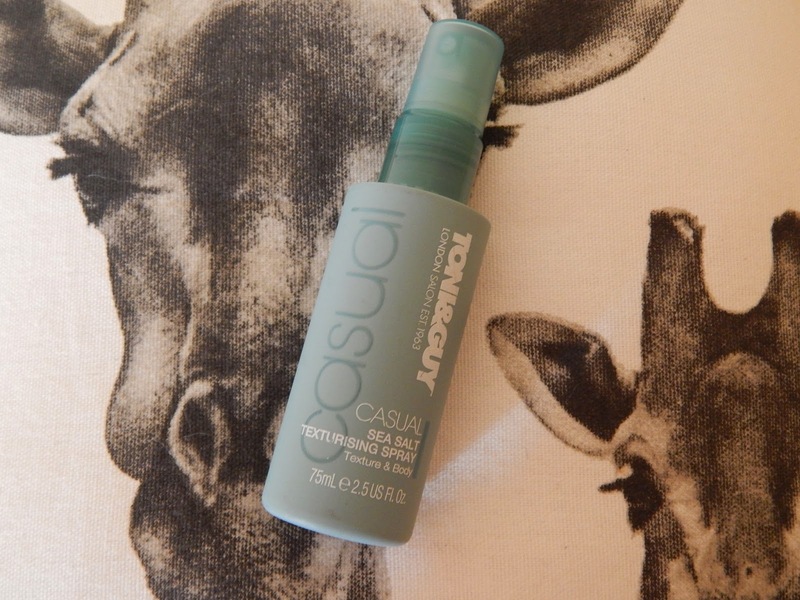 I would definitely repurchase this sea salt spray again! I bought the travel sized version of this spray for an unbelievably fantastic price of €1.92. The 200ml bottle costs €9.49. I know this spray will last me ages. I give this an 8/10! 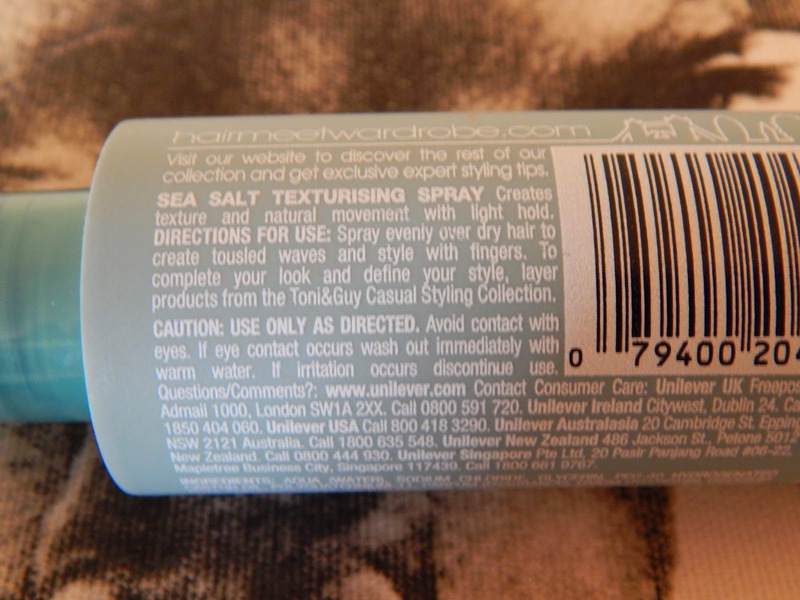 Do you use sea salt spray? Which is your favourite? Perhaps! The thought of straightening my hair every two days isn't the best when all I'll want to do is go out there and explore! The curls do suit you anyway!